The dry cleaner and launderer began as an inherited press shop as a means of settling a debt to the company’s namesake, Max I. Walker, in March of 1917. His entrepreneurial spirit and commitment to customer service has been passed down through five generations of Walkers. Despite its small beginnings, Max I. Walker has grown into the largest dry cleaning operation in Omaha, expanding to 22 locations throughout the metro and adding Uniform Rental to its array of services. Walker's Absolute Guarantee to Customers: If your order has not been serviced to your satisfaction, your charges will be cheerfully refunded. However, we would appreciate the opportunity to make any corrections you feel necessary and we welcome any complaint or suggestion to improve our service. Omaha has spoken. And spoken. And spoken again, 5 more times. Max I. Walker has been Omaha's Favorite Dry Cleaner since 2013, and we know why: exceptional customer service, quality production, innovation, and good old fashioned hard work. See for yourself what our customers have to say. The Walker family has been 100% involved in this business for over 100 years. The fifth generation is poised to take over, and they are just as committed to evolving to meet customer needs and preferences as their great, great grandfather Max I. Walker was when he opened the first store in 1917. 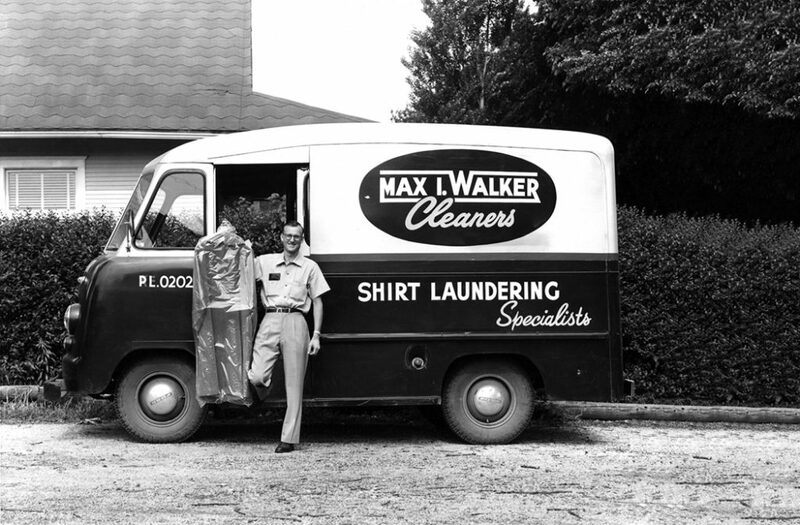 Max I. Walker has offered Uniform Rental Services since the 1970s. We can fully service the uniform needs of automotive shops and dealerships, food preparation facilities, healthcare workers, and more. There are many advantages to choosing us over national companies, including personal service and RFID tagging to ensure 100% accurate inventory. Max I. Walker recognizes that we wouldn't be here without the support of the community to which we all belong. We are committed to giving back by supporting local media, small businesses, and charitable organizations, as well as our annual fundraising event, the Ultra Chic Boutique dress sale, benefiting the Nebraska Alzheimer's Association.